Sharp-eyed readers will note that I've used a different head shot than usual, above. This one was the result of a makeover of sorts, performed by my daughter. At the time, my mind was on other things; if memory serves, my cousin Maureen was visiting, the wine was flowing, and we were solving the world's problems as we are ever wont to do when we are together. My daughter was experimenting on us, giving us makeovers with her tubs of hair accessories and pins and flowers, and as you can see she went for a sort of Pan/Bacchus look, no doubt inspired as the antithesis of my usual role of buzz-kill, nag, harridan - e.g., Mom. If you allow me to rhapsodize about my children, we'll be here eternally, so I'll shift the focus slightly. Come back with me, if you will, to the long hot summer of 2008. I was a newly minted professional author, with a deal under my belt and some time on my hands and an itch to be writing something new. I was returning from one of my earliest book-event trips to L.A., and if my eyes were still starry and my enthusiasm dewy, perhaps I can be forgiven, for at that time everything seemed possible and I'd yet to encounter my first dreadful review, my first remaindered book, my first missed deadline, my first dark hour of the author's soul. All I knew was that I wanted to do something new. "How about YA?" my agent suggested. Now I had been in the young adult business for a while, but never as an author. My children were 13 and 15, and while I hadn't made an utter hash of their parenting, I was experienced enough to recognized I'd failed them frequently and dramatically. In short, I did not feel that I understood their tender psyches, much less those of their entire generation. Leave it to the Twilight-spinners, was my initial thought; I did not have entree into the Babysitters Clubs or the dens of the Spy Kids; the British boarding schools or the dystopian mazes. But the idea lodged and grew, like the bit of grit that irritates its oyster-y host until something shimmery begins to form. Why not me, demanded the internal voice; why shouldn't I try to create something, a blend of who I had once been and who my children and their friends were now? Why not seize upon what I remembered best about being 14, 15, 16 - the anguish and the fear and the other-ness, as well as the brief and splendid moments when I saw with great clarity that I could be someone who mattered, despite my awkwardness and inauspicious beginnings? I wrote my first young adult novel in a burst of ignorant fervor in the late summer and early fall of that year. It started with a tiny germ of an idea and picked up themes and plot points like a snowball being rolled around the yard. I listened to my kids' Pandora stations and stalked their Facebook pages and kept coming back when they rebuffed my requests for a back-stage pass to what's current in their world. My book sold right away, in a small but satisfying pileup of mild interest. Later, things got dicey; my story required major revisions and an entirely fresh re-imagining before it was deemed ready for a youthful audience. I wrapped up the journey I began in BANISHED in a second book, UNFORSAKEN. Only when I typed "The End" on the second did I feel that I was starting to know what I was doing, a tiny small bit. This week I'm putting the finishing touches on a proposal for a new young adult novel, for the same intrepid publisher that's stuck by me in my education as a YA author. 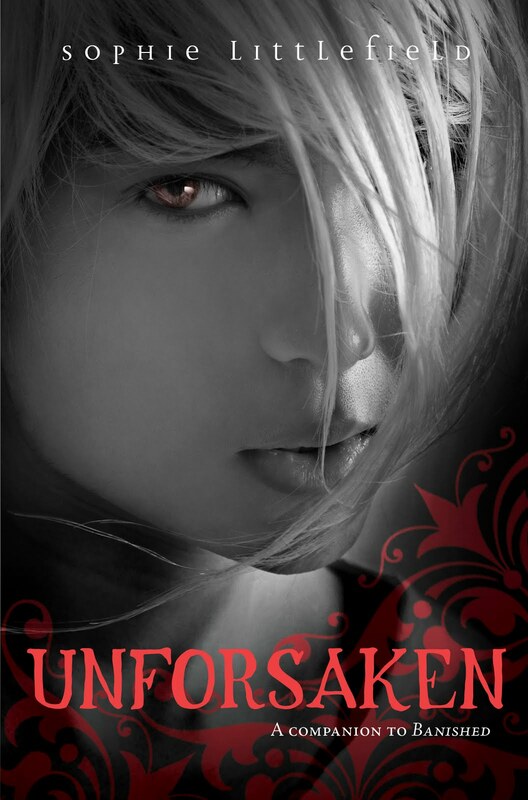 Meanwhile, I'm looking forward to the publication of UNFORSAKEN in October, which has been going through the final passes in-house before the ARCs are released into the wild. Reader response has been enthusiastic, and some days, I'm able to believe that my awkward childhood put me in good stead to give something back to a whole new generation of readers. Meanwhile, back at the ranch (I actually live in a 60's era ranch house so perhaps you'll forgive the figure of speech) the true inspirations for every YA book I write have just gone to bed. Midnight is moments away, and as I get into my own bed I'll practice my nightly gratitude for the blessings that make the telling of every tale that much richer. A mother's wish is that she could erase every hurt and vanquish every antagonist, that she could make for her children a smooth and easy path. But of course that's impossible - fresh hurt and indignation and resolve is the birthright of every generation. It's how we learn, how we grow, and eventually we have to deafen ourselves to the parents on the sidelines and strike out on our own. Writing YA has let me linger a little longer. Even after my own darlings have left my house for their own adventures, I hope to be writing the stories that keep me in the nether place between child and adult, between daughter and mother. And of course they are there in every word I write. Have I mentioned lately what a brilliant writer you are? Not that you need me to tell you, but honestly, it's a complete pleasure to read your prose. That second to the last paragraph...mmm. Love this -- I feel sure that you're quite in touch with all the angst and yearning of teenagedom. As my young friend says, "Banished is the most awesome book EVER." I can't believe you had an awkward childhood. Even at eight years old I imagine you as poised and composed as today, just in little tiny dresses and teeny tiny pumps.